Glee is all about a teacher who tries to keep her high school’s Glee Club alive and help open the students’ eyes to a variety of possibilities. I’m the kind of person that’s into drama and musicals, and so this show is perfect for me. The storyline focuses on many real-life issues teens go through, including break-ups, pregnancy and much more. Glee will make people look at things in a totally different way and will get people extremely attached to the characters. The show originally started off with 13 kids in Glee Club, and throughout the show, new characters are added. 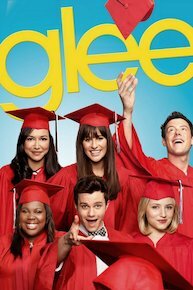 Glee’s first season of the musical comedy-drama television series originally aired on May 19, 2009. The show then ended, after their sixth season, on March 20, 2015. Lea Michele is arguably the breakout star of Glee; Michele has released books, albums of actual real music, and co-starred on Glee creator Ryan Murphy’s Scream Queens. This show is very funny, sweet, and heartwarming. I was very impressed with the acting. I’m only on season two, and I am absolutely in love with the show. Every episode gets better and better. All episodes are available on Netflix.